As difficult as it may be to believe, the Handbags and Teabags ladies are quite busy. We don’t always have the time for a lovely, long, afternoon tea. But that’s not to say we don’t still want to have a natter over a cuppa and some cake. So when we were invited to try out a ‘dessert cafe’ that promised to ‘sweeten our day’ we thought it was the ideal chance to do just this. Velvet Confectionery is a little place tucked away just along the beautiful Robertson Quay. It would be very easy to miss it and, in fact, one of us did completely (next time Sara). To find it you might be best to look for the ever popular Kith Cafe (which is just beyond the Pulau Saigon bridge) but don’t stop there, walk on just a few paces and you’ll find the Velvet Confectioner, right next to the SevenEleven. If you’re driving, head for Rodyk Street and you can park in The Watermark car park. Be warned though, the guys on the gate are sticklers for the rules so will ask which shop you’re visiting and ask you to get them to sign the slip to say you actually go there (hey, it’s Singapore). Once you’ve found it though, take a seat and feast your eyes on the delights in front of you. There are only a handful of tables and chairs so space is limited, but it was pretty quiet when we went. 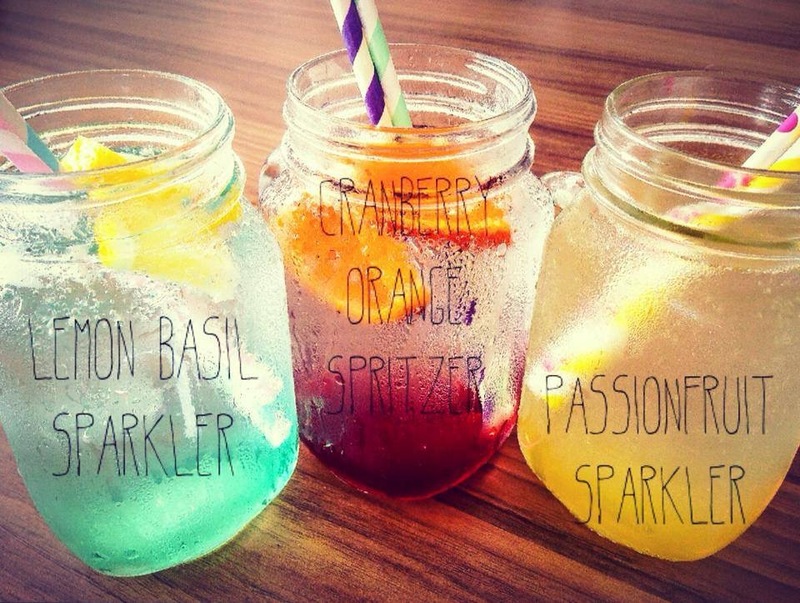 Aniqa – the lovely Singaporean owner – started the cafe over a year ago. She told us that she bakes all the cakes herself and prides herself on adding just the right amount of sweetness to each one. Her bakes are known for not being overly sweet which is just what I like to hear as too much sugar in a cake just spoils it I think. She also offers customised large cakes and cupcakes. With a cabinet brimming with delicious cakes we decided the only option was to choose a selection to share. Narrowing it down to just five cakes was difficult but in the end we opted to try the carrot cake, red velvet swirl brownie (one of Aniqa’s specialities), a chocolate cup cake, a wedge of Nutella cheesecake and a slice of the healthier sounding olive oil, lemon and yoghurt loaf. Alongside the cakes we were offered a selection of artisan teas and coffees or various cold drinks, including some very yummy sounding ‘sparklers’. You can even get a very cute babychino if your little one fancies a grown up looking treat. The presentation was simple with cute doilies and rustic boards and the helpings were generous. The carrot cake was a-ma-zing. We are all big fans of carrot cake and so are quite picky. This one hit the spot for sure. Just the right amount of walnuts, the frosting wasn’t too sweet and the sponge was beautifully moist. 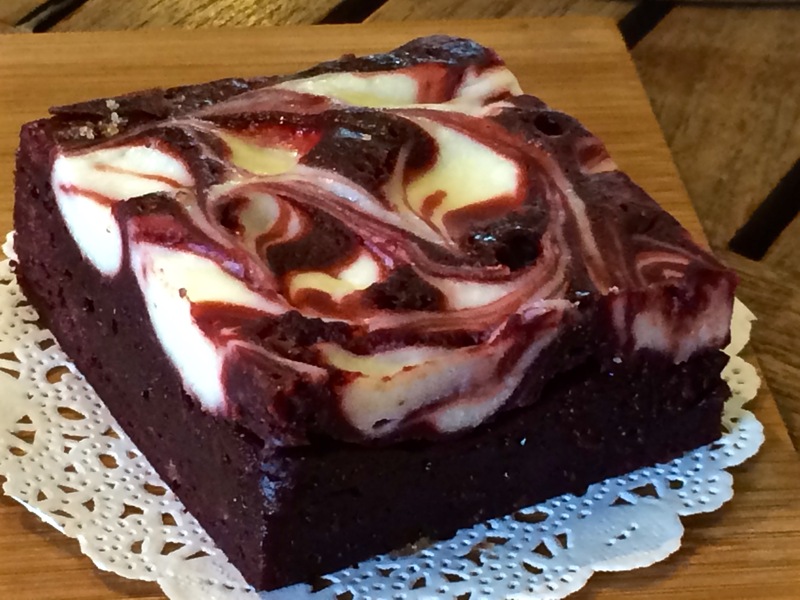 The red velvet swirl brownie was rich without being sickly and the fact it looks so dam pretty means you’re sure to try it. 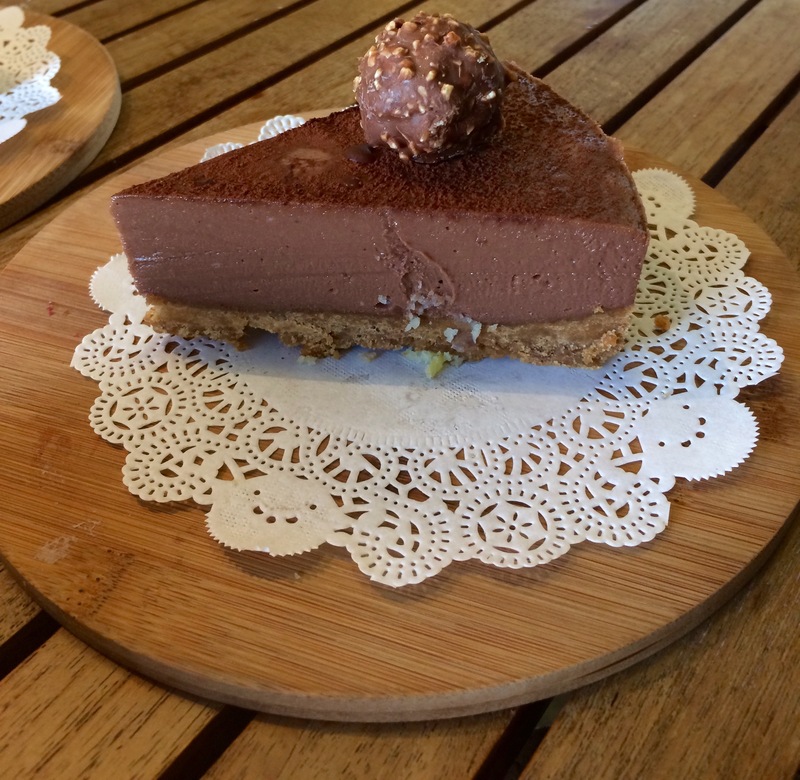 The Nutella cheesecake was sweet – and ideal for the chocolate lover. The lemon yoghurt loaf was the kind of cake you want to take home and eat at leisure with a whole pot of tea. And the cup cake? Well, we never got to try it as we were all so full up. We sat there for over an hour chatting about cake and eating cake and thoroughly enjoyed ourselves. Very relaxed – in fact, we were the only customers so no hassle to move on. Our only gripes were there was no toilet (I assume there must be a public loo along the river, but couldn’t locate it) and it’s pretty hard to find. We would suggest a bigger sign outside for people to spot from the river walk. Overall, we agreed this little bakery/cafe/dessert restaurant is worth looking out for if you are in the area. Proper home baking and the fact you can get occasion cakes too makes it worth knowing about. We couldn’t score it though as it can’t really be compared to a high tea at the big hotels. Suffice to say we are still talking about the gorgeousness of that carrot cake though!